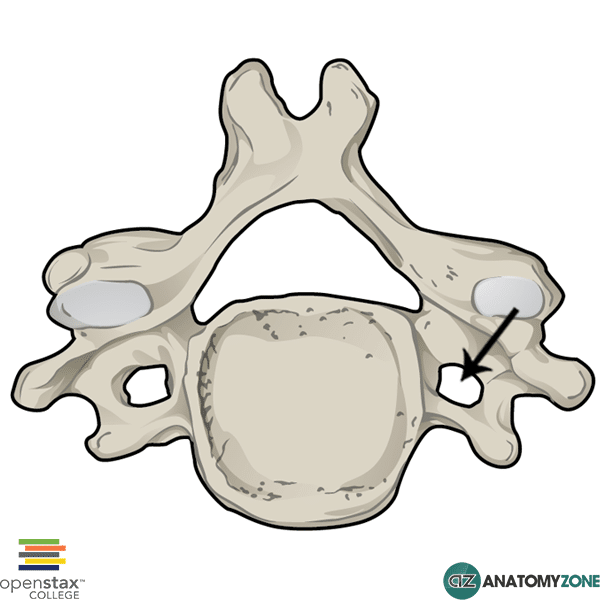 The structure indicated is the transverse foramen of a cervical vertebra. Transverse foramina are only present in the cervical vertebrae. These foramina allow the passage of the vertebral artery and vein. The vertebral arteries arise from the first part of the subclavian artery. The vertebral and internal carotid arteries provide the arterial supply to the brain, forming the Circle of Willis at the base of the brain.